What does the Word of God say about the foods that we consume? What steps should we take to have healthy bodies…fit to provide long life to satisfy God. 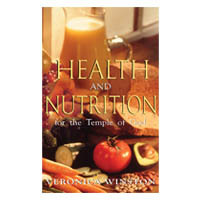 This book will provide insight, encouragement, instruction and practical steps one could take to have and live a healthy lifestyle.